In the past few years, the trend of Airbnb has been sweeping the nation. Airbnb gives property owners a platform to rent income properties and even their own homes as short term rentals. With the homeowner in control of timing and rates, this can be a great way to off-set the costs of owning a property. However, with the implementation of new taxes for short term rentals and with some condominium corporations changing their rules to disallow individuals from utilizing their units for such purposes, it may not be as profitable as it once was. Knowing the facts will help you make an informed decision if you’re considering offering your property on Airbnb. Airbnb is an online marketplace that allows individuals to rent out their properties or spare rooms to guests. This marketplace has become overwhelmingly popular in the past few years as it provides affordable lodging options for tourists as well as extra income for property owners who choose to use the service. Airbnb takes a 3% commission for each booking from the host, and a commission from each guest that ranges between 6 and 12%. What are the benefits of Airbnb? The recent surge in Airbnb properties demonstrates how this avenue can provide easy additional income to its users. If you own an investment property, it can be far more profitable to list it for short-term rentals (as long as vacancies are minimized). Combine all of this with a need for affordable short-term lodging and it can be an advantageous opportunity for all those involved. With over 2,700 active Airbnb hosts in the city and over 185,000 people having used the service in Ottawa last year, it is not surprising that the City and the hotel industry have taken notice. Starting August 1, 2018, the City of Ottawa has levied a 4% Accommodation tax on all properties rented through Airbnb and similar sites. This tax is similar to the accommodation taxes that you would already pay when staying at a hotel and would be charged to users directly through the site. As long as your guests pay for your accommodations using AirBnB, they will collect the MAT for you and submit it on your behalf. Money collected through this tax will be returned to the City to support tourism and economic development. The impact on the popularity of Airbnb has yet to be seen as the money will have to come from somewhere; renting will either cost users a little more or property owners will have to lower their prices to remain competitive. A recent surge in homes being made available in the suburbs has left many wondering about the legality of using a home for such purposes. “ ‘The short-term rental of an entire dwelling unit to one guest or set of guests constitutes a hotel under current definitions, and is not a permitted use in residential zoned areas of the City,’ reads an email from bylaw director Robert Chapman.” Many communities are dealing with these so-called “ghost hotels” where the owner is never present and at times, those renting are not considerate to the neighbours. The City of Ottawa has recently commissioned a study to investigate this issue further, specifically is areas where zoning is an issue. For reasons similar to those mentioned above, many condo associations are choosing to push back against this trend and ban all short-term rentals and sublets. These short term rentals can have a negative impact on a condo building, depending on those renting the space and many condo boards are choosing to avoid this all together. If you own a condo, it is important to understand all the rules and guidelines set out by the condo association before considering using it in this way. New Regulations in Toronto: will Ottawa follow suit? In Toronto, city council voted in December to essentially ban the use of contained basement apartments or otherwise vacant properties for nightly rentals, following many incidents similar to those reported in Ottawa. These guidelines mean that you may only use your primary residence for such purposes. This regulation has come with a lot of criticism, specifically from people who have invested in properties for short term rental income. The City of Ottawa currently does not have anything like this on the table but it is definitely something to keep in mind. 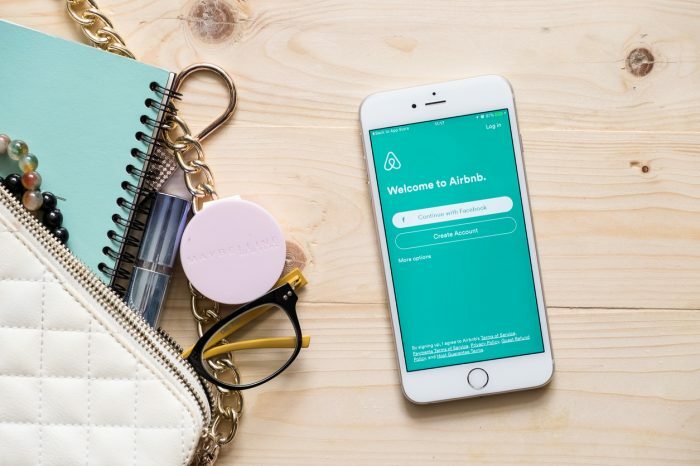 We hope that these tips will help Ottawa homeowners make an informed decision about whether or not renting out your home on Airbnb makes sense for you. Questions or comments? Email us at info@teamrealty.ca .